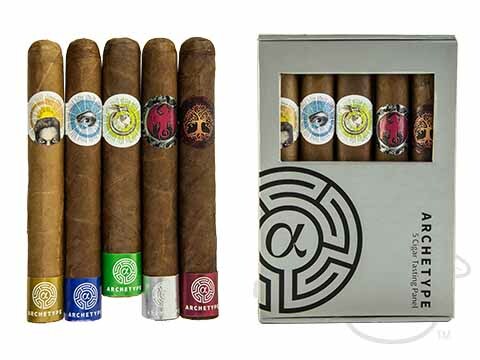 Handcrafted at La Gran Fabrica Drew Estate in Esteli, Nicaragua, Ventura Cigars’ Archetype Chapter Two Axis Mundi was created for those with a hankering for hearty handmade satisfaction. 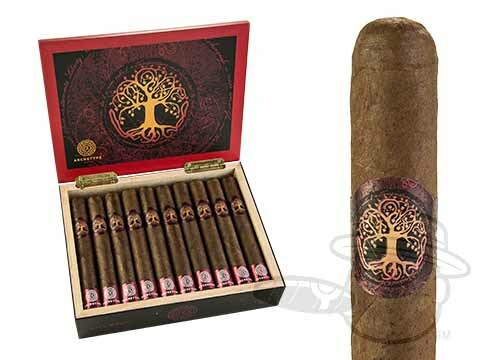 Loaded with potent Nicaraguan Habano long fillers under a slick Sumatra binder, a gritty and mottled Ecuadorian Maduro wrapper lends the perfect look to this complex flavor-bomb. Upon lighting, the bombing begins - explosive notes of spicy earth, red and black pepper, dried figs, maple syrup, and charred oak with many juicy nuances materialize in smooth succession in the Axis Mundi’s beautifully-bold profile. Spice up your humidor selection with the unmatched taste of these full-bodied firecrackers now!